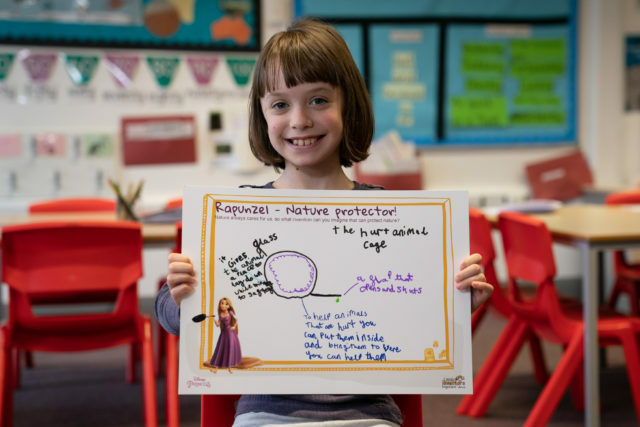 Disney Princess is collaborating with invention experts Little Inventors to inspire young girls to dream big and come up with ideas to help change the world. Through research, Disney Princess has identified four issues in the world that young girls would like to change, improve or fix. These issues include conquering fears, the environment, the ocean and spreading kindness. Working with Little Inventors, Disney Princess has created four challenges that girls can respond to, each inspired by a Disney Princess (Aerial, Belle, Merida and Rapunzel). The competition will launch at the end of March alongside research revealing the list of 10 things that young girls would like to change, improve or fix in the world. New research out today reveals that ‘being kind to others’, ‘people not having enough to eat’ and ‘protecting animals and their habitats’, are among the top 10 issues that children in London are most concerned about in 2019. The poll was commissioned by Disney UK, as part of its Dream Big, Princess campaign, which asked children to identify the issues that they most want to fix or improve in the world, ranging from cleaning the ocean, to world hunger. The research also found that children are becoming more socially conscious with 70 per cent feeling that they have the power to make the world around them a better place. Almost half (48 per cent) of all children polled in London also said they were prepared to stand up for the things they believe in, with 25 per cent having already campaigned about things they care about at school. Twelve per cent of children have even written to the Prime Minister or their local MP to ask that they look into an issue they are worried about. The research also revealed that 77 per cent of children aged five in London agreed that they have the power to change the world. However, this belief diminishes with age, with only 53 per cent of children aged 13 believing this to be true. In addition, 39 per cent of all children in London feel that adults don’t listen to their ideas enough. In answer to where children in London find their information about issues facing the world today, school is named the number one source (50 per cent), followed by their parents (49 per cent), then online channels such as YouTube (29 per cent).